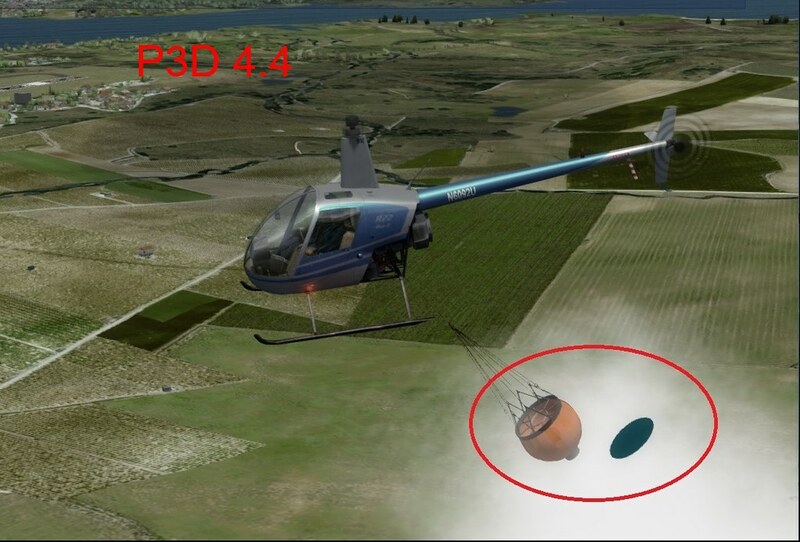 in previous versions of P3D it was possible to attach sim objects to each other using the appropriate SimConnect methods. This worked really well, even when cascading = attaching multiple objects to each other, like a chain. In P3D V4.4, these secondary attached objects have acquired a delay in rendering, they are no longer rigidly attached, but they lag behind - this becomes most annoying when the "master" object is moving and the attachment is creeping away from the point that it was attached to. This issue breaks a few key features of our apps. It would be good to know if this change was intentional or if it is more of a bug - and if there is hope that it will return to proper operations with a P3D update in the future? Can you confirm this worked in v4.3 or have you narrowed this down to a specific version where this stopped working? Bucket is attached to helicopter, blue disk is attached to bucket. 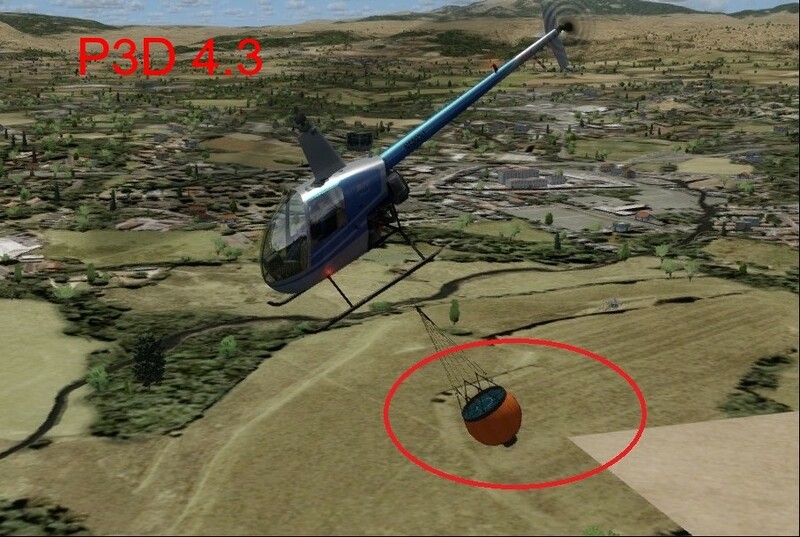 When the helicopter starts moving, the blue disk lags behind in 4.4 but not in 4.3. Since version 4.0 the snychronization of the movements of independent objects (like AI planes etc.) has become continually worse. I have a few apps where object movement is synchronized programmatically, and lags & fluttering have been increasing with every version since the 4.0 (shot in the dark: as if certain processes have been relocated to separate threads and are now slightly out of synch). btw. it would be really nice to have a method to relocate the attached object at runtime (x,y,z,p,b,h). I have a solution for this, but it has some drawbacks. Fixed with P3D version 4.5. Many thanks to the P3D team!